With external eye photography, Dr. O’Donnell can show you on screen any issues with the cornea. Your cornea, which is clear and shaped like a dome, is the outermost layer of your eye. If you wear contact lenses, they float on top of your corneas. 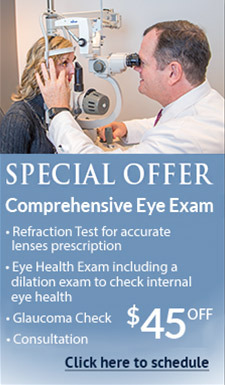 Your cornea is a key factor in eye health and good vision. Your cornea helps to shield the rest of your eye from dust, germs, bacteria and foreign matter. Your cornea also permits light into the eye and acts as a very powerful lens to focus light rays on the back of the eye, contributing between 65 to 75 percent of your eye’s total focusing power. 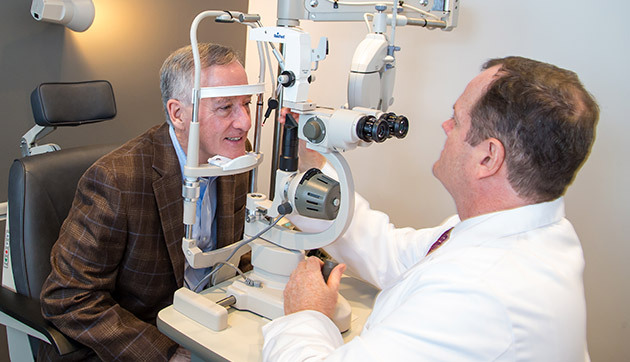 Dr. Brian O’Donnell has over 20 years of experience as an eye doctor and stays current on the latest ways to diagnose and treat corneal problems through advanced coursework. He keeps his practice equipped with the latest state-of-the-art technology and uses these to diagnose and detect problems with your eyes. A biomicroscopy is used to inspect the cornea. Keratometer: The keratometer is used to determine the shape of the cornea to diagnose conditions such as astigmatism, corneal scarring and corneal distortion. It’s also used to fit contact lenses. Corneal Topography: This is done to measure the surface of the cornea using a high-definition 3-D image of the corneal surface. Pachymetry: Measures the thickness of the cornea using ultrasound. It’s used to detect and manage glaucoma. A cornea that is too thin is an indicator of glaucoma and progression. It is also used to help determine the candidacy of Lasik surgery patients. If you have any symptoms of cornea problems (see below) or need continuing care, Dr. O’Donnell will give you a thorough eye exam and consultation. He also provides emergency care on the same day during office hours. Allergies: Eye allergies are fairly common and the most common allergies are those related to pollen, especially when the weather is warm and dry. Injuries: These include corneal abrasions, which sometimes become infected and become a corneal ulcer. Penetrating corneal injuries can cause scarring that may lead to vision impairment. Infections: Corneal infections can reduce visual clarity, produce discharges and possibly erode the cornea. They can also lead to corneal scarring, which can impair vision and may lead to the need for a corneal transplant. Dystrophies: These are conditions where one or more parts of the cornea lose their normal clarity due to a buildup of cloudy material. Keratoconus is the most common corneal dystrophy in the U.S., affecting one in every 2,000 Americans. 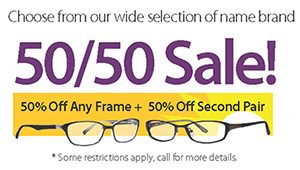 Refractive errors: Nearsightedness, farsightedness and astigmatism are vision disorders affecting the cornea and are the most common of all vision problems in the United States. What are the most common symptoms of corneal problems? The following symptoms of corneal problems are very common, although they vary by specific disease, condition or injury and by severity. Please note that any sudden change in your vision can be a warning of a serious sight-threatening condition requiring prompt attention. If you are experiencing any of the above symptoms, you should make an appointment with Dr. O’Donnell. He will perform a thorough examination and prescribe the most effective treatment. Depending on the cause, if left untreated, a corneal problem can result in permanent damage to your cornea. Treatment for corneal problems can take many forms, depending on the underlying problem as well as your personal preferences. Many corneal problems can be treated by Dr. O’Donnell with medication while others require surgery. For example, if the cornea is severely damaged or if there is a risk of blindness, a corneal transplant may be recommended by Dr. O’Donnell to save your vision. If your cornea is damaged, but the rest of your eye is healthy, then a corneal transplant might be the right treatment. A corneal transplant can restore vision, reduce pain and enhance the look of a diseased or damaged cornea. The corneal transplant, also known as keratoplasty, is the most successful of all transplant operations. In this surgery, part of the cornea is replaced with a voluntary donor’s corneal tissue by an experienced eye surgeon you and Dr. O’Donnell select. Following a corneal transplant, Dr. O’Donnell provides you with optimal postoperative care. This includes managing any medicine to prevent infection or rejection of the transplant.